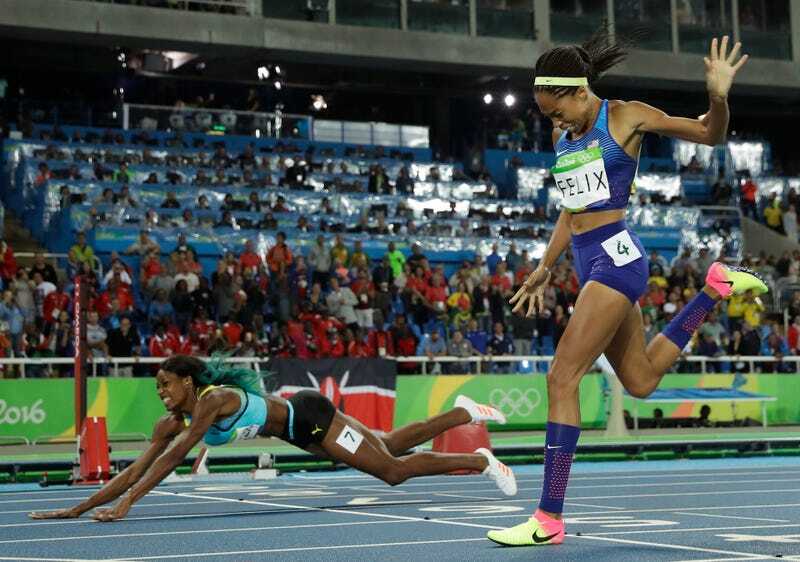 Allyson Felix lost the 400-meter final by just seven agonizing hundredths of a second, after Bahamanian runner Shaunae Miller dove right at the finish line to hold off Felix’s charge from behind. The 30-year-old Felix came into the final stretch well behind Miller, but managed to almost run her down, before Miller fell over the line. Until the good people at NBC make this video unable to be embedded, here’s video!